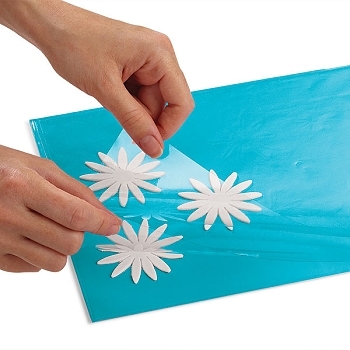 Gum Paste Storage Board, keeps gum paste flowers and leaves from drying out during handling. Two overlapping clear plastic covers with a blue vinyl board, creates three levels of storage. 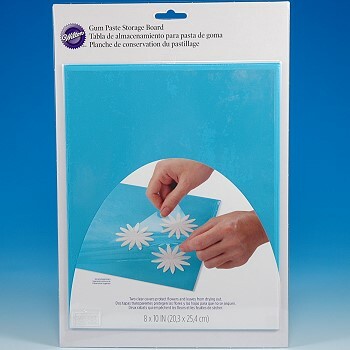 These covers protect against drying and crusting of delicate gum paste and rolled fondant pieces and maintains a proper consistency for shaping and feathering.